COMMERCIAL TOWNSHIP, New Jersey (WABC) -- Authorities in New Jersey are investigating reports of a needles found in pieces of candy collected by children during trick-or-treating Monday night. In one incident according to the New Jersey State Police, a woman in Commercial Township, Cumberland County, told detectives that between 7 p.m. and 8 p.m. she discovered a sewing needle in a Tootsie Roll candy that her child collected during trick-or-treat earlier in the evening. 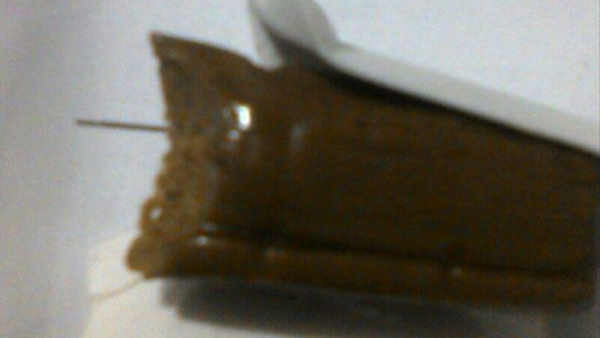 In another incident in Orange County, the Barnegat Township Police Department is warning parents to check their children's candy after a resident reported finding a small pin in a Kit Kat bar that was obtained in the township's Timbers development. So far police have no suspects in both investigations. State Police posted pictures of the evidence to their Facebook page. Police advised parents to continue to check their children's Halloween candy.